Sandy Evans. Photo: Anthony Browell. For some artists it happens when they’re very young, fostering only disappointment thereafter. For others it never happens, leaving a uniform career trajectory of relative mediocrity or unacknowledged genius. 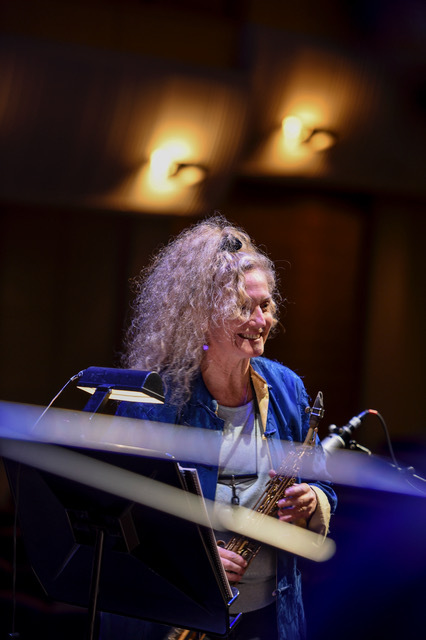 For Sandy Evans it happened here: everything she has poured into the previous four decades as an artist, saxophonist, composer, improviser and collaborator culminated in this one night. Evans has worked with both Indian musicians and jazz big bands before, but never like this in terms of the scope of the ambition or the fullness of its realisation. The foundation of the overwhelming success of Bridge of Dreams lay in the compositions, on which she collaborated with tabla player Aneesh Pradhan and singer Shubha Mudgal. Coming from the elite of Hindustani music, they, like Evans, saw a way to span the divide between two musical cultures so that they melded, but, crucially, with their own identities intact. Compositional triumphs included Tabla Spiral, in which (beyond the thrilling tabla dialogue between Pradhan and Bobby Singh) Evans had composed parts for Sirens Big Band that replicated and harmonised the tabla figures. Another was Deepening of the Red Sun, in which Pradhan’s hypnotic rhythm, Evans’s melodies and Mugdal’s singing (of a text from the mystic poet Kabir) combined in a manner that seemed preordained. 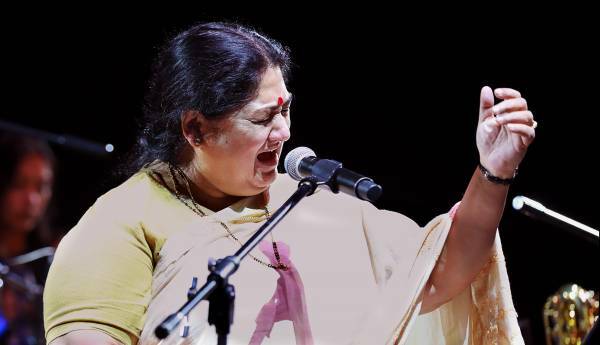 Shubha Mudgal. Photo: Frank Crews. Mugdal’s singing was spellbinding throughout, with her range, beauty, instinct for truth and thorough intertwining of ethereality and earthiness. Similarly Pradhan’s playing combined virtuosity, humility and warmth in equal measure, to generate some of the most moving tabla playing I’ve encountered. Sudhir Nayak was just as remarkable a soloist, his harmonium’s accordion-like sound ranging from brawn to fluttering whispers. Then there were the locals: the brilliant Singh, Evans soloing as if her life depended on it and Sirens leader Jessica Dunn proving again what a special bassist she is. Dunn’s 18-piece band executed the sometimes extremely challenging music with panache, including notable contributions from pianist Zela Margossian and drummer Ali Foster. The sound was also exceptional, presenting the 23 musicians with warmth, clarity and finesse.